Q: Apple Music on Soundtouch? 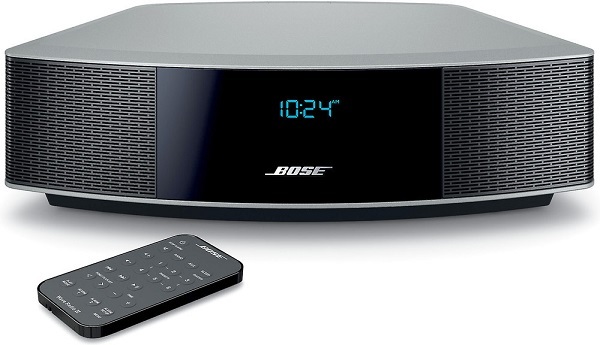 I have been anxiously awaiting for Bose to announce they will begin supporting Apple Music on the Soundtouch products. They claimed last fall that they were moving in the direction to support Apple Music, but I haven't seen or heard that is coming. Amymp asked on Bose SoundTouch Community. SoundTouch is a full family of wireless speakers, similar to Sonos. With it, you don't need to move your speaker system from room to room, put up with wires and cables trailing under doors and rugs and up the stairs. The wireless speakers are capable of controlling a range of your devices to stream music around your home. SoundTouch systems let you stream music wirelessly from Internet radio (which offers access to roughly 20,000 stations from around the world) and music services such as Spotify, Pandora, Amazon Music, iHeartRadio, SiriusXM, Deezer and QPlay (where available). 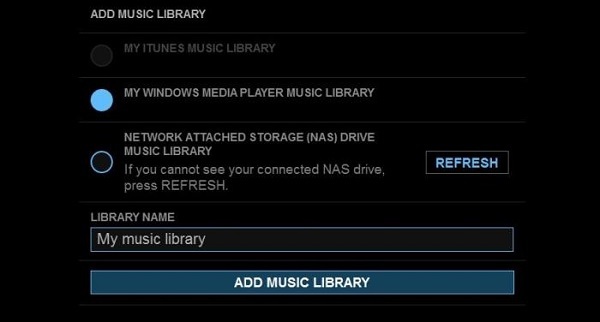 They also can stream music from a music library stored on a computer or NAS drive. Why Can't I Play Apple Music on Soundtouch? Although Soundtouch supports many music services, Apple Music is not in the list. When the Soundtouch products begin supporting Apple Music? Due to licensing issues and fees, you don't know how long it will take. It is a really major disappointment that you cannot use Apple Music with the Soundtouch system. So is there no other way to enjoy Apple Music songs through SoundTouch? You don't have to worry about that, now we implement it in three different methods. 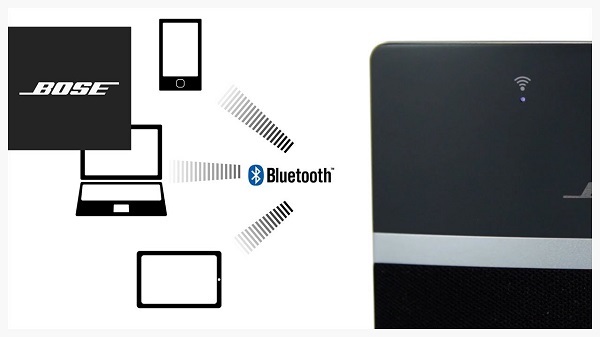 If your SoundTouch system supports Bluetooth, you can easily access your Apple Music songs from smartphones or tablets wirelessly with the ability to connect to Bluetooth. 1. In the SoundTouch app, select Menu in the top left corner. 2. Choose Settings > Speaker Settings and select your SoundTouch system to view the system details screen. Choose Bluetooth and select PAIR. 3. Pair your Bluetooth device to the SoundTouch. To open your devices, go into its settings and turn on Bluetooth. Then select your SoundTouch system from the list of available Bluetooth devices. 4. Once paired, you can start to stream and play Apple Music songs from the Bluetooth enabled device to your SoundTouch system. A lot of people just don't like using Bluetooth connecting their peripherals to their SoundTouch, in part because of poor sound quality. Fortunately, Apple has unveiled its latest Wi-Fi protocol, called AirPlay 2, which is compatible with Apple new speakers and third-party speakers like SoundTouch. Go to Settings > AirPlay, you can see all the devices/speakers connected to your home network. Select the SoundTouch home speaker. Now you can stream content directly from the Apple Music app of iOS devices you own, and control the SoundTouch speakers using AirPlay. However, the disadvantage is that it is only available in Apple's devices, including iPhone, iPad, iPod touch, Apple TV and Mac. Apple Music is definitely a heavily requested feature. More and more SoundTouch users are willing to use this Music service straight out of the Sound Touch box - full access, good quality sound, no limitations. In this part, we will provide an ultimate method to put things right once and for. According to the SoundTouch's official website: the SoundTouch systems and application are compatible with Windows Media Player, iTunes, and a NAS drive for stored music. And it's supported audio formats including MP3, WMA, AAC, FLAC and Apple Lossless. However, Apple Music and the vast iTunes Music Store catalog are not equal. Songs from Apple Music are essentially a cached stream, and not individually stored songs. And these streaming songs are encoded at 256kbps AAC with DRM protection, which prevents you from copying or transferring to other programs or devices. Thus, in order to play Apple Music on SoundTouch directly, you need to remove DRM from Apple Music songs firstly and then convert them to the audio formats supported by SoundTouch systems. 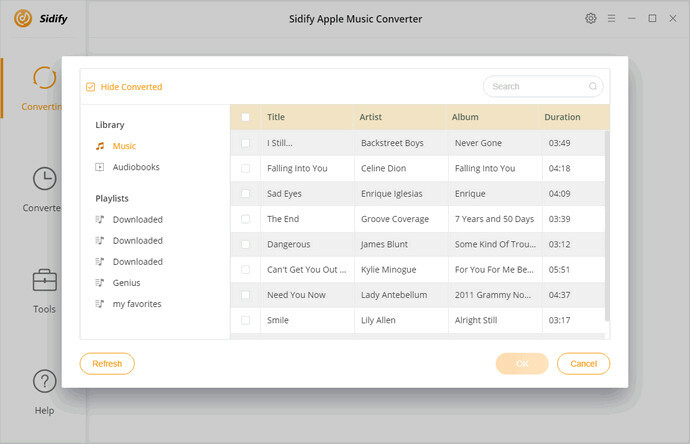 Here Sidify Apple Music Converter, a multi-functional DRM removal software as well as Apple Music Converter, is strongly recommended for you. It enables you to get rid of the DRM from Apple Music songs by converting them to common audio formats such as MP3, AAC, WAV and FLAC. In this way, you can add the converted DRM-free Apple Music songs to SoundTouch systems. Remove DRM from Apple Music, iTunes purchased songs and Audible audiobooks efficiently. Convert Apple Music songs to MP3, AAC, FLAC or WAV and ensure the lossless audio output. Play converted Apple Music to Android Tablets, Xbox One, PS4, iPod Touch, common speakers, etc. Fully compatible with the latest version of iTunes & Windows 10 & macOS Mojave 10.14. Now follow the tutorial below, you will figure out how to convert protected Apple Music songs to Soundtouch supported audio with Sidify Apple Music Converter by yourself. Before the conversion, please make sure you have downloaded the Apple Music songs and authorized them in iTunes first. 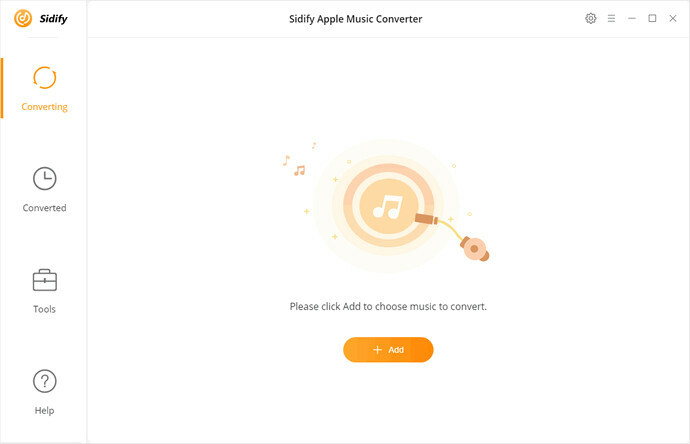 Download and install the latest version of Sidify Apple Music Converter on the computer according to your operating system. Double-click it, you will see the clean user interface. Click + button, it will pop-up an iTunes library window, you can choose one or more the downloaded Apple Music songs you want to convert, then hit OK.
To choose output format, you can click the gear icon on the top right of the Sidify window. Currently the available output formats are MP3, AAC, WAV, and FLAC. Besides, you can also set the output quality, output folder and output organized for the converted songs. 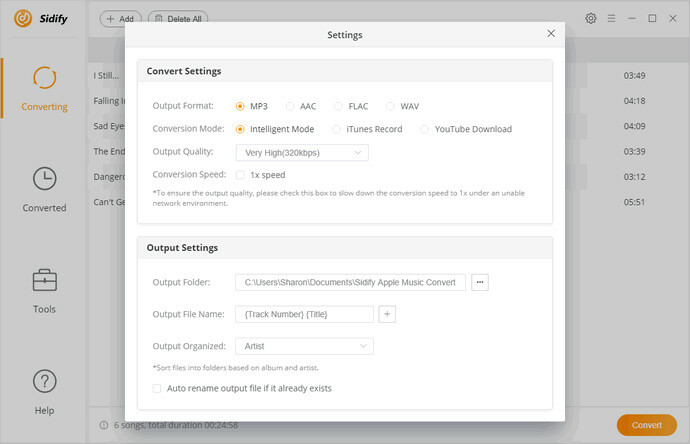 Now you can click Convert to start the Apple Music to MP3 conversion process. Once the conversion completed, all the converted Apple Music songs you can find in the history option. 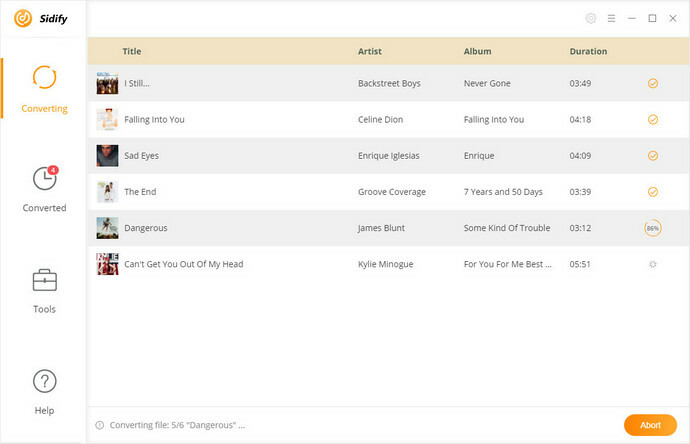 Now you can import the converted Apple Music songs to Windows Media Player or iTunes freely. Then you can play your converted Apple Music songs through the SoundTouch speaker. Here are the detailed steps in this process. 1. Download and install the SoundTouch application to your computer directly from its website. 2. Open the SoundTouch app, click on the EXPLORE panel, then choose ADD MUSIC. 3. Select Music Library on Computer, now you can choose either Windows Media Player or iTunes and enter a name for the library. 4. Choose ADD MUSIC LIBRARY. Once the library has been added to the application, you will see the music library available in the source list for the explore panel. You may need to wait a minute or two for the application to sync with your library before accessing the content through the SoundTouch application. Now you can enjoy Apple Music songs on SoundTouch without any limitations. What are you waiting for? 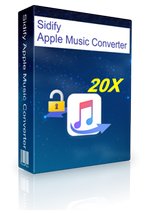 Free download this powerful Apple Music Converter and try it by yourself!